Growing up as a Hindu, I was able to absorb the philosophy of Hinduism, but the “spiritual technology” in Hinduism was always mystifying to me. Frequent attempts to understand this technology always ended up in frustration. Key part of this technology was the concept of “kundalini” and how it rose up the human spine activating the various “chakras”. Here is my latest attempt to understand these concepts. Kundalini is the jarring awareness that there must be something more to life, which then starts one on a journey of discovery. 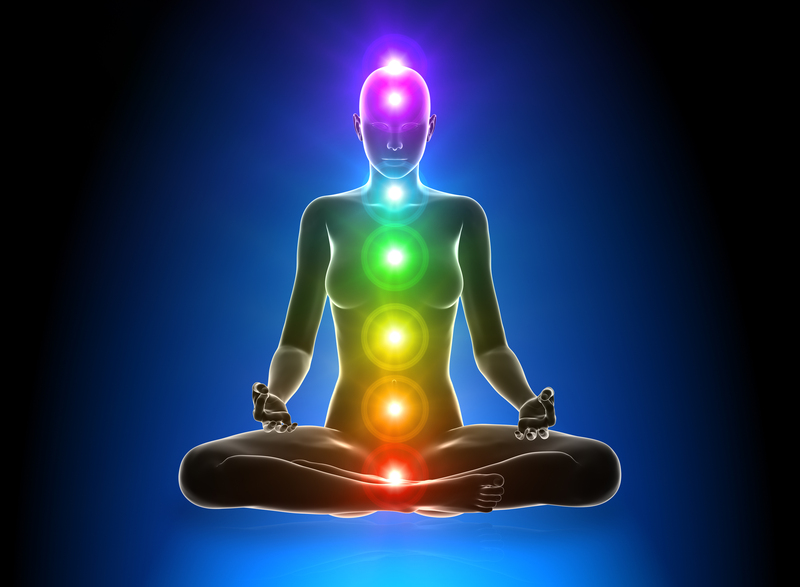 When awakened, Kundalini is said to rise up the spine through various chakras. The progress of Kundalini through the different chakras leads to different levels of awakening and mystical experience, until Kundalini finally reaches the top of the head. There it produces an extremely profound mystical experience. The chakras are like “whirlpools of energy,” or knots, in the energy channels of the subtle body through which the life force moves. The chakras seem to describe the major inconsistencies about life that needs to be resolved. Their resolution seems to form a bridge from ignorance to spiritual knowledge. The journey through chakras involves resolution of inconsistencies. For resolution to takes place one looks closely at inconsistencies at each chakra in as broad a context as possible. There are seven major chakras, which are arranged vertically along the spine. More details may be obtained from Wikipedia. Below is a description of the seven chakras, followed by comments. Root Chakra… considered the foundation of the “energy body”… Kundalini awakening begins here… where the individual consciousness is sleeping or dormant… after you have done certain practices, this becomes so stimulated or agitated that the agitation continues up to Manipura chakra. This chakra seems to represent the engrossing of attention on basic physical survival. Here the person is living as a body. Agitation of awakening takes place when the person starts to wonder about the futility of it all. “One’s own base”… It is closely related to the Muladhara in that Swadhishthana is where the different samskaras (potential karmas), lie dormant, and Muladhara is where these samskaras find expression… It contains unconscious desires, especially sexual desire. The fixation of attention on body seems to boil down to the activities of eating and reproducing. If there is attention on health then one must review and fully resolve this chakra. The resolution requires closely looking at the inconsistencies associated with the obsessive impulses of the body. Located at the navel… “jewel city”… this chakra is involved in self-esteem, warrior energy, and the power of transformation; it also governs digestion and metabolism. A healthy spirited third chakra helps overcome inertia and jump-starts a “get-up-and-go” attitude so it is easier to take risks, assert one’s will, and assume responsibility for one’s life. This chakra is also the location of deep belly laughter, warmth, ease, and the vitality received from performing selfless service. Here the person’s attention is begun to free up from the fixation on body impulses. The next level of inconsistencies now shows up as fixation on self or individuality. The resolution requires closely looking at the inconsistencies associated with the ideas of self or individuality. Located near the heart… “Unhurt, unstruck and unbeaten”… associated with a calm, serene sound devoid of violence… In Anahata one makes decisions (“follows one’s heart”) based on one’s higher self, not the unfulfilled emotions and desires of lower nature (based on karma)… It is also associated with love and compassion, charity to others and psychic healing. At this level, the attention has been freed up from the individuality of body and self. The person is now operating with much less egoism. However, there is still attachment to relationships in life. The inconsistencies at this level have to do with relationships. At this level one focuses on freeing oneself from feelings of guilt. One has been unable to face certain areas of life, and has been withdrawing obsessively from various activities. Such inconsistencies are closely inspected and resolved. Located between the eyes… “command”… eye of intuition and intellect… end of duality… trusting inner guidance… inner aspect relates to the access of intuition… deals with visual consciousness and clarity on an intuitive level… allows mind communication to occur between two people. At this chakra one seems to be dealing with inconsistencies of understanding at the conceptual level. One looks closely at the concepts to do with spirit and matter until all inconsistencies are resolved. One inspects and cleans up residual inconsistencies from earlier chakras. This is the state achieved when no more inconsistencies remain and the attention is totally free to roam about. At this level one becomes the very reality looking at itself. that’s a lot of work Vinay, I like it. An interesting and informative synopsis. By the way, how do you indicate that you like a comment on my blog. I don’t see any like / unlike buttons after each comment. I’m using the WordPress app on my android phone. The”like” button shows up as a star at the end of the notification on my phone. Ahh… It is not there in the desktop version.